BUT... because my mind's often always on my projects and because I used my blog as a bit of an inspiration board of sorts and a place to communicate with people, I often feel like I'm sort of keeping a main component of myself/ my creative process off of the blog. SO... I've decided to try to start sharing a few in-progess projects with you. You'll have to forgive the COMPLETE lack of styling and completion in the projects but I do think you might enjoy seeing where it all starts. It's a massive family-friendly space with a huge TV in a nook next to the fireplace. They hang out in here every day. Ira has an amazing sense of style & taste but felt her home was lacking something. It was beautiful and a bit serious and wasn't as personal as she wanted it to be. Ira tends to like primarly cool colors with a hit of warmth injected. I'd describe her style as "sophistcated pretty..." She likes an elegant mix of classic and modern with a youthful edge. When she has something to show me that she likes, I know it's going to be beautiful. Part of what makes design so rewarding is helping people figure out their own personal style and helping them translate it into their homes. Everyone has her own unique style and I love looking at rooms and making decisions through my clients' eyes... it's almost like putting on a pair of colored glasses because once you learn who your client is design-wise, you need to put on their "glasses" when designing. Of course, it's still your eyes looking through the glasses so you never lose sight of your aesthetic and beliefs and knowledge, but you do see things differently than you would for yourself. We're going with a pale gray-blue on the walls in both the kitchen and family room. I love its distression and warmth. It will be really beautiful with the gold tones of the existing sofa. There's so much more to share with you & I'll keep you updated along the way. The hardwood floors have been installed and it's soon to be painted. I love reading the thought process in the before/mid design phase. I can already tell it's going to be an awesome facelift! I think it is going to look great!!! Love love the Windsor smith fabric!! What is going to happpen to that awesome chandelier she had above the table?????? Oh, Lauren! I love the colors, the fabrics and the patterns. I can't wait to see all of the win in this room upon completion. I was looking at the before photos, like, "Okay, that room isn't so bad", then we got to the kitchen...which I really didn't care for (colorwise) but now? I would like to steal all those fabric choices for my own living room. They are spectactular and fun. Beautiful work Lauren! I love the kitchen remodel and think your client is one lucky gal. I'm curious about the lights over the island. Will you be keeping those or replacing? omg - gorgeous, Lauren! Love what you are doing with the kitchen (that light fixture is bananas -good!). I love the fabrics you're using in the family room and that awesome coffee table! A big space like that really needs this pattern to make it human scale. Can't wait to see the reveal! First, just found your blog and LOVE it. I love your choices! Also curious what you are doing with the old fixture over the table which is swoon-worthy? I like the new choice though - more classic yet modern. I look forward to reading more! CRAZY about that coffee table - what a find! Kitchen looks great, but have to ask: why the new cabinetry? Was painting the existing cabinets not an option? Can't believe she's also giving up that light fixture - wish I could buy it! That family room looks massive but needs some fun injected into it for the whole family, you’re right it looks to serious. I’m so glad to see you’re revamping the kitchen and may I say I LOVE THOSE TILES!!!!! I love all your color choices and fabrics. I’m so glad you shared the "during" photos with us now I can’t wait to see the finished results! Love the color palette! That coffee table is amazing... I can't wait to see it finished! I know it will be gorgeous! Woah, those kitchen cabinets make a HUGE difference already- what a beautiful home! And those fabrics, I love them together! When I first started visiting blogs, I used to come to yours all of the time, but then getting lost in blogland, somehow I lost you! I'm so glad I found your site again, as I really enjoy. I'm becoming a follower so I don't lose you again! It is going to be beautiful! Love all the cool blues! Hi! Just saw your comment over on MFAMB. I want to be friends. Also wanted you to know that I LURVE that Windsor Smith fabric!! Bought some last weekend. I think your blog is RAD! Haha...seriously, I really like where this space is going. And I tried to get a client to use the "old" fixture over the table. Love that. Personally, I'm thrilled that you didn't wait until this project was complete.It's such a treat getting a glimpse into your design process! The new kitchen color made an incredible difference. I love where you are going with this.....I love the glass tiles and the new kitchen cabinets. The fabrics look lovely. I, too, wonder where the current lighting fixture will go. I actually blogged about that fixture last week, funny! So glad you carried the wood into the family room....it is all going to look spectacular, no doubt! What a difference with a bright kitchen. The fabrics are beautivul. Those arched windows in the study are like the old Miami homes.. Thanks for a peek at your creative process. I love the fabrics and color scheme you chose f or the family room. Can't wait to see the finished results! but suddenly want to be transported into that one!!! keep up the amazing work. Beautiful!! I can't wait to see that finished product!! It's nice to see a project in the middle, sometimes I think we think it just magically happens over night :) But I am super excited to see the final product! Lauren, it's great to be in on your process. I think HGTV gives the impression that everything happens overnight! The end result is going to be gorgeous and will definitely be because of your hard work. I love what you've done to this house! Your work really shows just how talented you are, all the spaces you design have a different look to them. The fact that you are able to create beautiful spaces that reflect the individual homeowner, show what a truly amazing designer you are. Looking forward to seeing photos of this completed project. it will definitely brighten up the space, can't wait to see the end results. oh lauren this is soooo much more fun for us to watch your ideas form. Looks like it is going to be georgeous, and definitely "sophisticated pretty", can't wait to see the reveal...I do love in-progress, b/c it does show that all of those pretty pictures, DO have to go thru a process to get there. --Gretchen O.
pretty pretty. that living room is grand and i want to see it at christmas. or snowy outside. Love reading your process! Can't wait to see the final product. I've gotten a lot of inspiration here today for my master bedroom. Love all of the fabrics and the colors are so amazing. I also love the view from the family room---what a great room! Can't wait to see the finished rooms. Love the coffee table and fabrics....I have to agree on some other comments: where's the pendant light going??! It's very cool! I LOVVVE where you're going, and KNOW it will be F*A*N*T*A*B*U*L*O*U*S when you "finish"~~~~ letting us "tag along while you create was/is a GREAT idea... sooo fun to see it in this light!!! Beautiful color palette that will go so nicely with that gorgeous view. And I love the backsplash tiles, just did something similar in a clients master bedroom fireplace. Looking forward to the finished product. Her room was really pretty to begin with, but the proposed changes are going to be fabulous and work well for a young family. The tall windows in the family room are stunning!! Thanks for sharing a bit of your process. I love seeing work in progress so that you know where you've been and understand where you're going. So fun to see. It looks beautiful. I am in love with that table. Keep that one in mind when you start designing furniture. This project has completely captured me!! I can't wait to see more pix. Lauren that is a very soothing and classic color palate, and one that she can live with for years. The new cabinets lighten up that space SO much, I am sure we all await the finished project! so cool to see the process. What is the brand/color of the paint? Love the new rooms! Where did you find the new chandelier. Love it! I have been reading your blog for over a year and I start my day by reading it. I am an older reader and I find your zest for life contagious. 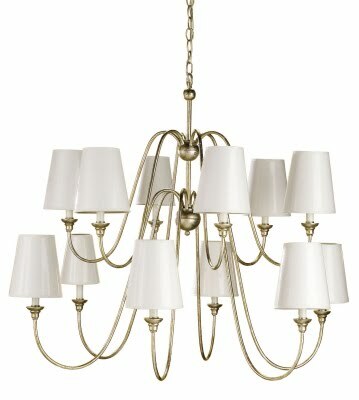 I have been looking for a chandelier to use over my dining table for two years. Could you please tell me where you found the one you are using in this remodel and how I can purchase it. Someday, maybe I'll find the time to tell you how much your blog means to me. I hope you can help me with my lighting dilema. Thank you. I couldn't find your email anywhere so if you see this, please send me an email @ lauren@thepurestyle.com so I can help. Thanks so much & I so appreciate your reading!! Just came across your blog, you spark alot of ideas and creativity in your posts. I have to say Fabric is becoming a Sin with me. If everything is supposed to be in moderation then Fabric is off the diet.